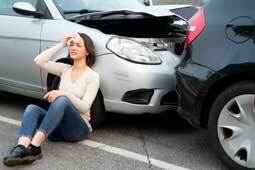 If I am involved in an auto accident, who covers my medical bills? You have 100% coverage under your auto insurance policy due to Minnesota's No Fault Laws. Is it possible for me to have injuries even though I felt nothing at all after the accident? Pain can occur immediately or take hours, weeks, or even years to develop. That is why it is so important to be assessed by a Doctor trained in the biomechanics of the body right away! How do the Doctors find the hidden injuries? The doctors perform orthopedic and neurological examinations, assess soft tissue damage, muscle strength, range of motion, joint and nerve function and take x-rays to fully assess any structural damage. Is the extent of the damage to my vehicle indicative of the extent of my injuries? Most injuries occur at crash speeds below 12 MPH, and most cars can withstand 8 to 12 MPH impacts without vehicle damage. Therefore, there is no correlation between vehicle damage and the extent of your injuries. Besides my insurance covering my medical expenses, is there anything else I'm entitled to? Yes. You may be entitled to wage loss, mileage reimbursement, replacement services, funeral expenses, and survivor's losses. Our knowledgeable staff will answer any questions you may have about your auto coverage and assist you with questions regarding your paperwork as well. Is whiplash common in an auto accident? Yes. More than 3 million Americans are injured in low speed rear impacts every year. Nearly half of all chronic neck pain is due to car crashes, and minor neck injuries account for 60% of all permanent impairment claims. Any neck or back pain after an accident should be immediately assessed. Do you have questions? Call us at (952) 931-9867 or text today and talk to a doctor immediately or submit the adjacent form and we will be happy to assist you.